Flights to Western Australia operate from varying airports and more often than not (if you are flying from the UK) you’ll transfer to direct flights to Perth or Broome. Finding cheap flights to Western Australia can be desirable as it will free up some cash to aid you in getting around the vast state of WA. The prices of flights to Perth / Broome tend to rise during the summer (EU winter months) and around school holiday periods such as Easter and Christmas. Therefore, try to book your cheap flights to Western Australia well in advance to visit this enchanting and diverse state. Book cheap flights to Western Australia and visit the largest state in Australia, occupying the western third of the entire continent. It is also one of the most diverse stretches of land in existence; the coast is lined with lush greenery and beaches and as you moved further inland, much like the Northern Territory, the terrain starts to change into a rougher, harsher desert terrain. If you find cheap Perth flights you can start your WA adventure in the south and work your way north or book flights to Broome, Australia and journey south. Even from North to South the landscape is dramatically different, the Northern half of this state is known as The Kimberley has is made of largely of Australian Outback, National parks and is home to the only horizontal waterfalls in the world where as the Southern portion of the state is made up of the Coral Coast home to whale sharks and dolphins, the vast Golden Outback that got its name from the gold rush pioneers in the 1850’s and the South West with its towering forests, Bunbury dolphins and the Margaret River wine region. Find direct flights from Asian international airports or other Australian airports, especially if you are a history buff and more specifically you possess an interest in Colonial History. Western Australia was discovered early on by Dutch colonists but deemed uninhabitable, they moved swiftly on, as with the other states it was the British that decided that King George Sound would be suitable to start a settlement and some years later they established the Swan River Colony which then became the city of Perth. Western Australia settlements grew slowly at first until the gold was discovered in the late 19th Century. Nature lovers should certainly get direct flights to Perth, Australia or Broome to experience the fascinating terrain and Western Australia’s aviary of over 540 species of birds, kangaroos and an immense amount of marine wildlife. There are a varied amount of different nature walks all over the state and the wildlife that will be encountered changes according to the terrain. Directflights.com can help you find your cheap flight to Western Australia; just by clicking any of the links below or using our flight search box, we list the cheapest flight to Western Australia as well as all the direct flights to Western Australia. Even if you need to book a last minute flights, Directflights.com will list a selection of the cheapest flights to Western Australia through the fantastic rates they get through their flight partners. The Western Australian climate is the most diverse in the country, due to its large size, and it is divided into three main climatic zones: tropical, semi-arid and Mediterranean. The north is tropical, characterised by a sunny dry season (April to September) and a wet season (October to March) with its humidity, heavy rains and thunderstorms. The dry season has ideal temperatures, with hot days and mild evenings, and is perhaps the best time to travel to Western Australia. 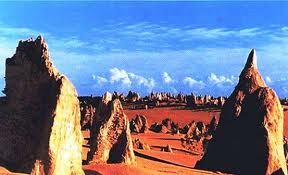 The central part of the state falls within the semi-arid zone and consists mostly of desert regions. A temperate, Mediterranean climate characterises the south where the summers are warm and dry and the winters mild and wet. 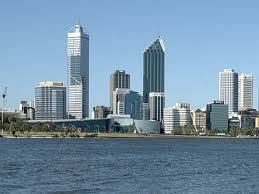 Perth lies within this zone and the hot summer days are cooled by the strong afternoon sea breeze. Perth has a very low rate of humidity. Winters (June to August) are mild, with the wettest month being July.